KATHMANDU, June 21: After spectacular failure in the School Sector Reforms Program (SSRP), donor-funded first phase project, donors have been accused of exerting pressure to change the National Curriculum Framework (NCF) for bringing out better results in the second phase known as School Sector Development Program (SSDP). The Education Review Office (ERO) under the Ministry of Education, Science and Technology (MoEST) started a national assessment of the achievement for Grade 8 from 2011 and completed assessments for Grades 3, 5 and 8 twice under the SSRP by 2015. The SSDP plans to carry out a national assessment of the achievement for Grades 5, 8 and 10 twice between 2016 and 2022. In course of the program, the assessment of 46,266 students of Grade 8 was carried out in 1,950 schools in 26 districts in 2017. The assessment covered the subjects Nepali, Math and Science. 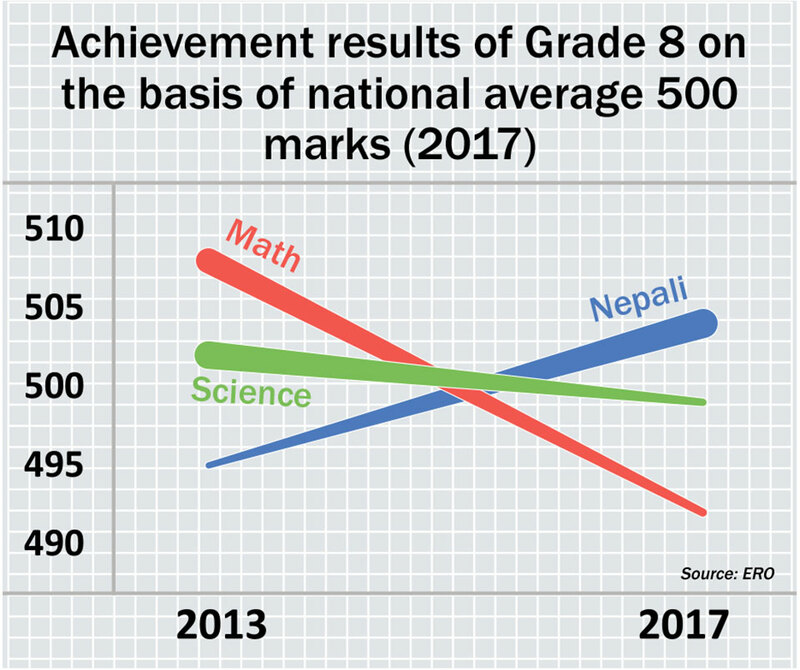 The assessment shows that the achievement in two subjects – Math and Science – declined between 2013 and 2017, according to MoEST. Achievement results for Grade 8 were assessed on the basis of the national average of 500 marks (2017). Both SSRP and SSDP are donor-funded centralized programs. The World Bank is the major contributor to the programs. The SSRP budget (2011-2015) was Rs 43.94 billion while SSDP had an estimated total budget of Rs 125.41 billion (2016/17-2022/23). 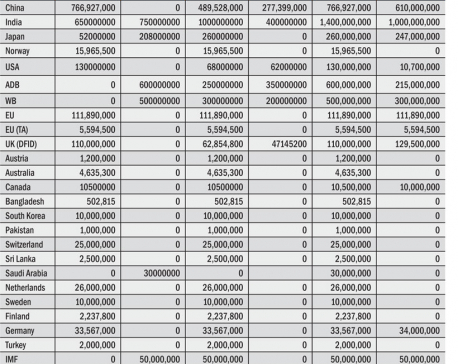 A total of Rs 12.16 billion has already been pledged for SSDP. The rest of the project amount is yet to be pledged. SSDP programs cover schools, the non-formal education sector, CTEVT programs and the University Grants Commission (UGC). After assuming office, Minister for Education, Science and Technology Giriraj Mani Pokharel came up with a five-year road map that included formulation of the NCF for improving education, including school education. The initial draft of the NCF was prepared by a team led by educationist Prof Mana Prasad Wagle. Ministry officials claimed that education experts Prof Kedar Bhakta Mathema and Prof Min Bahadur Bista also provided feedback for the NCF. According to MoEST brass, Math was a compulsory subject for the Science group in the first draft of the NCF. But it was made an optional subject in the Science Bio group. 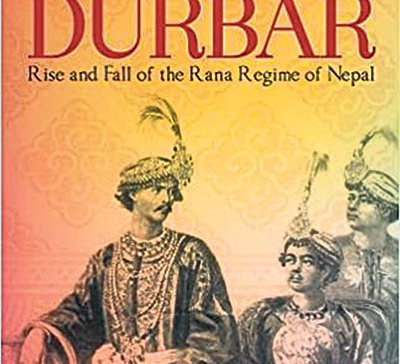 Under the influence of the World Bank officials, the Nepal Study subject was changed into Social Studies. “World Bank representative Rajendra Dhoj Joshi visited the ministry at the final hour and got it to change the draft,” they said. Speaking to Republica, Joshi said he visited Minister Pokharel at the latter’s request and urged the ministry to make Math optional for Grades 11 and 12. “Students should be given a choice since Grades 11 and 12 are the time when they choose their careers,” he clarified. “We objected during the meeting with Minister Pokharel. Math and Science should be compulsory in school education in order to compete in the international arena. Students can select any two optional subjects from Science, Humanities, Management or other streams. Otherwise, our education will become inferior,” said Wagle, adding that donors might have an interest in changing the curricula in order to show better results for the SSDP. 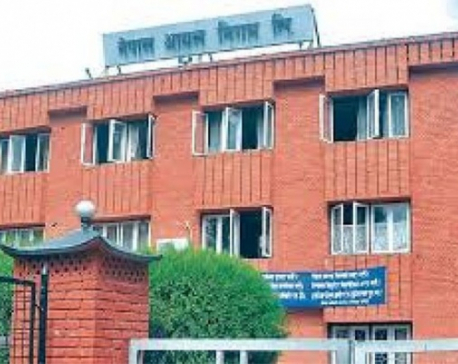 Guardians Association Nepal (GAN), student unions and other stakeholders suspect foul play aimed at weakening the international value of Nepali education. World Bank’s Nepal Country Office has rejected accusations of involvement in exerting pressure to modify the curricula of Grades 11 and 12. Faris Hadad-Zervos, the country manager, says the World Bank and a group of development partners finance a part of the Government of Nepal’s expenditures in implementing its SSDP through a Sector Wide Approach (SWAP). “World Bank funding is especially linked to progress in agreed results in the Grades 9-10 curricula, and not Grades 11-12. Our support seeks greater access to and achievements in Language, Science and Mathematics,” Faris said. “This corresponds with the World Bank’s global advocacy for Science, Technology, Engineering and Mathematics (STEM) as indispensable academic disciplines,” Faris claimed. Pokharel denied that there was any pressure on him. “I will not be influenced by pressure and I should not be. I will work to ensure local, national and international standards for school education curricula and more,” he added.